But the 39-year-old's close connection to the president - and some of her comments in her time as his media advisor - have made her a target for criticism by opposition politicians. She famously once told a newspaper that she was "perfectly comfortable lying to protect the president". Ms Ndiaye was born in 1979 in the former French-colonised republic of Senegal, to a family who engaged her in politics from a young age. Her father was heavily involved with the Senegalese Democratic Party, while her mother was a high-ranking judge on the country's constitutional council. 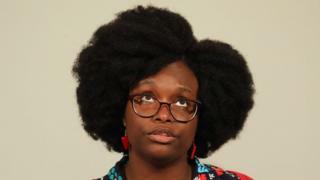 Educated in Senegal and in Paris, she was involved in the French national students' union - later telling news outlet Jeune Afrique that she felt a desire to make changes to the lives of other students. She said her leap to national politics was prompted by the 2002 French presidential election, in which the far-right National Front's Jean-Marie Le Pen made it to the second round. She joined the Socialists - and began her career in politics. She first met Mr Macron when he was the deputy secretary general at the Élysée, and she was working for the economy minister - a job that Mr Macron would take over in 2014. "My professional career was mainly built around beautiful encounters, with people who knew to trust me, and I always tried to be worthy of this trust," she told Jeune Afrique. Her appointment to the government in the weekend's minor reshuffle has been met with a great deal of criticism and debate in France. Her time as a media advisor to Mr Macron saw journalists ejected from the Élysée, and a hardening of policy about staff members speaking with journalists. Much of the criticism surrounds a report carried by French newspaper L'Express in 2017, when she said she would lie to protect Mr Macron. Opponents have questioned what such a statement - which she had previously denied saying - meant coming from the government spokeswoman. Ian Brossat, spokesman for the French Communist Party, tweeted: "With the practices of this government, it actually seems to be fitting for the position of spokesperson." Julien Sanchez, spokesman for the far-right National Rally, echoed the sentiment, saying: "The liar officially becomes the government spokesperson". "It was my job at the time to defend and protect the President of the Republic... today, I have new responsibilities," she told journalists. "I take this step with pride in serving France, the country I chose for myself," she said. "Even before I was French, I was one of the people involved in this country, especially in [Paris suburb] Seine-Saint-Denis, where nothing is simple, but where everything is possible." "France has given me a lot, today it is my turn to give something back," she said.